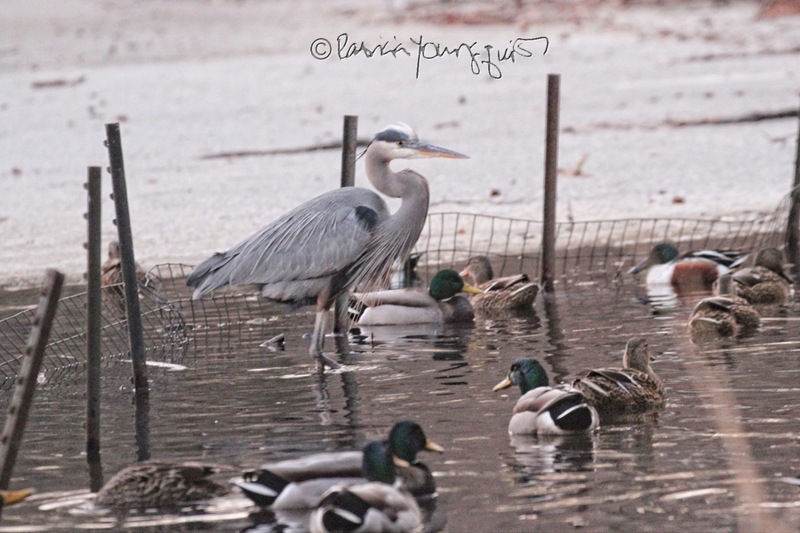 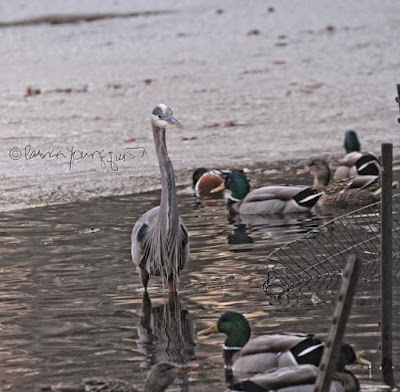 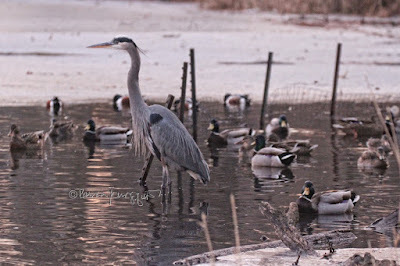 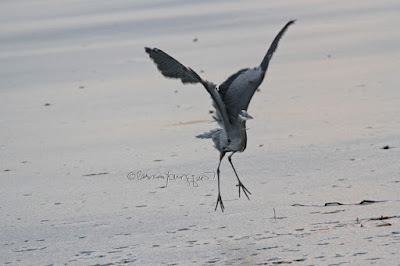 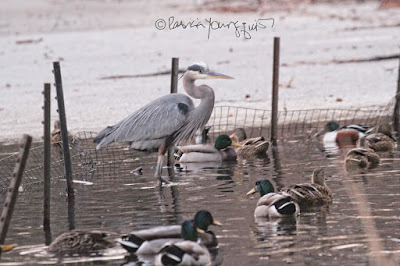 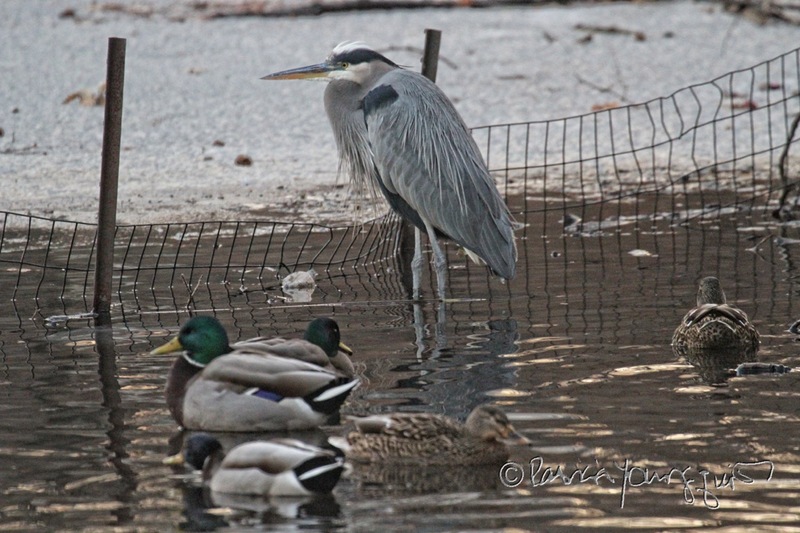 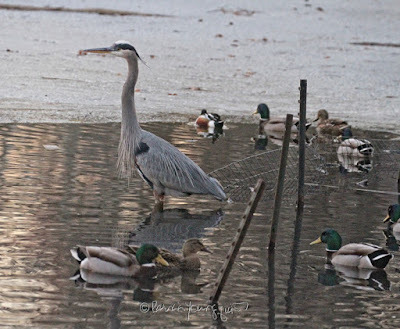 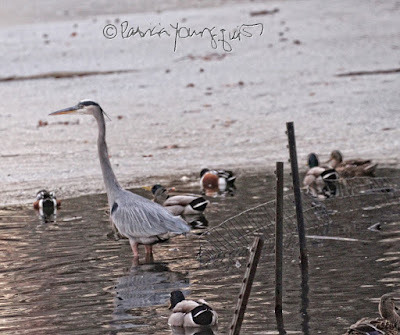 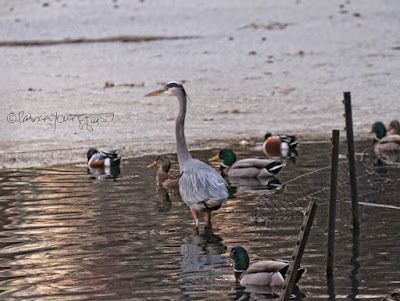 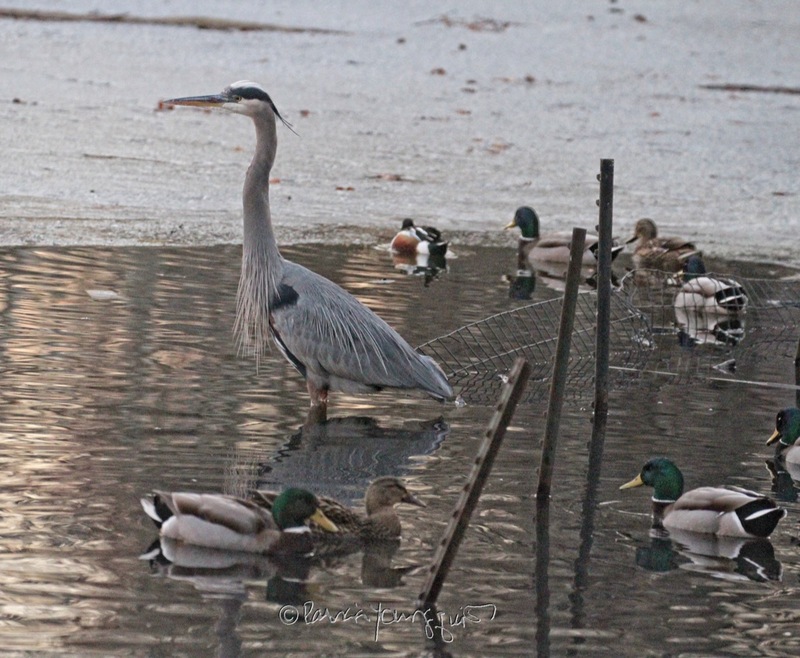 This past Tuesday, here on Blogger, I published a post describing my encounter with a bird type whom I'd never seen before, a Great Blue Heron. 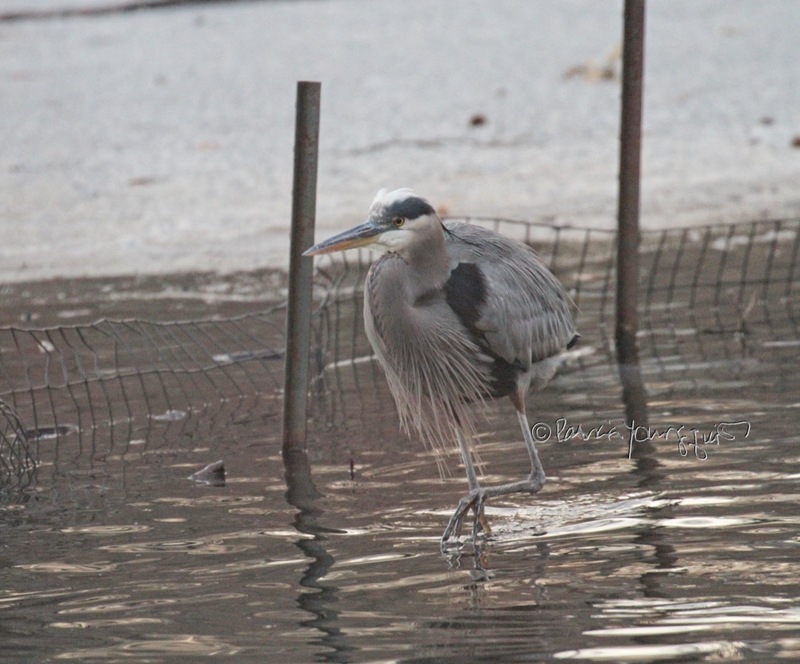 I mentioned that I came upon this lovely creature while walking in Central Park. I also stated that I only had a small pocket camera with me at the time, and that I normally use my DSLR to photograph birds. 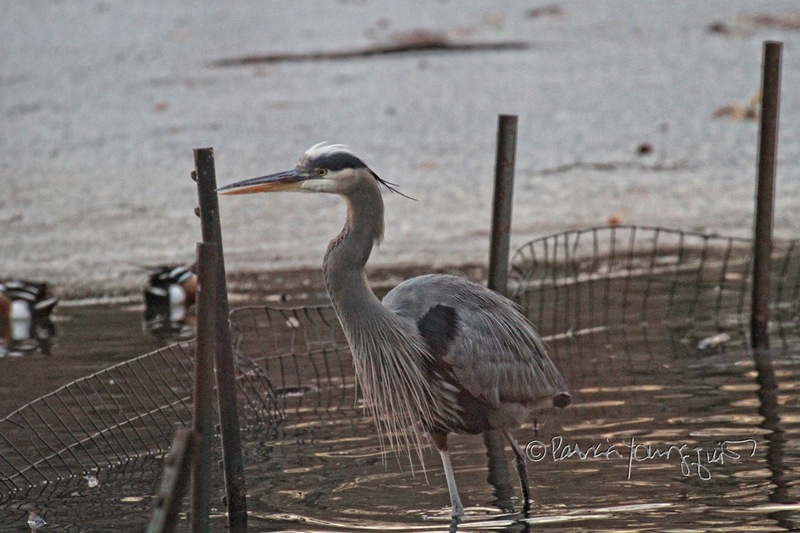 Therefore, I wasn't totally pleased with the images that I had taken of the Great Blue Heron. 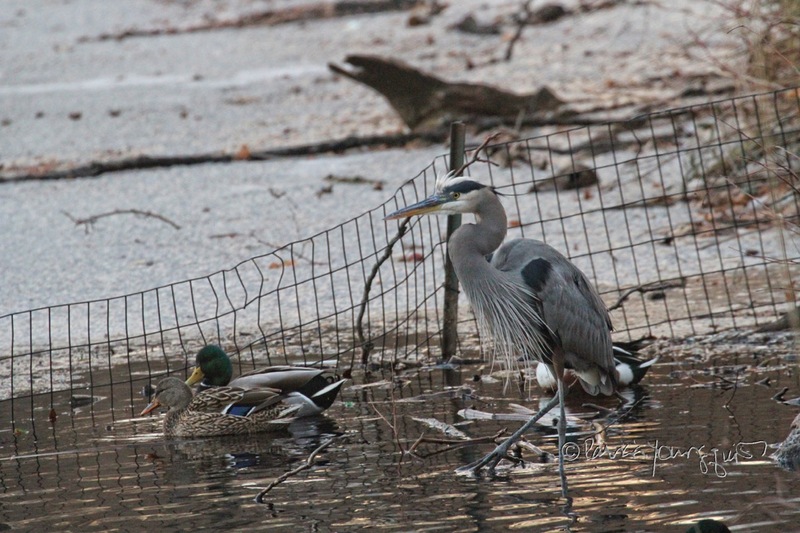 Because of this, I returned to the park yesterday (taking my DSLR this time) with the hopes of seeing the heron again. 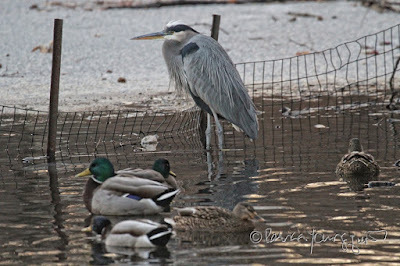 But, alas, I did not see a heron. 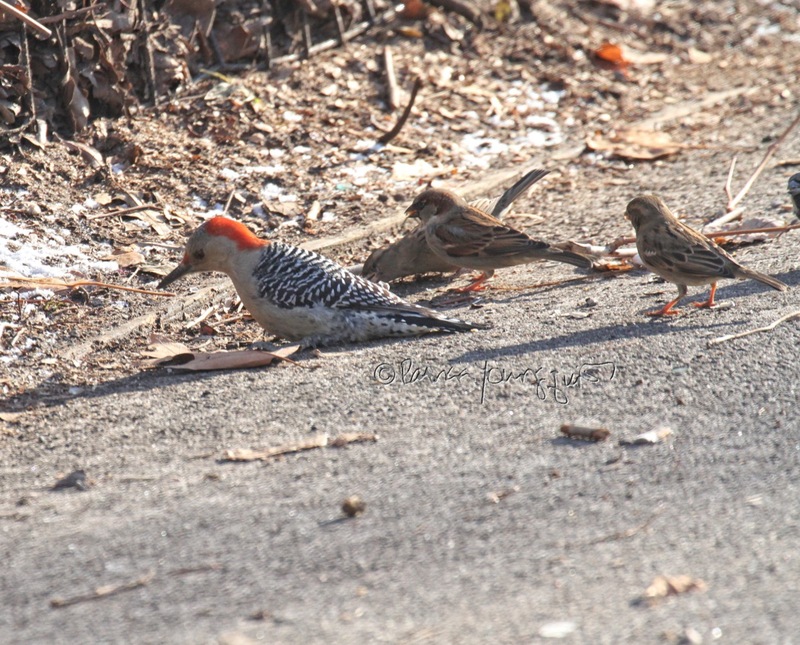 However, I did see Red-Belllied Woodpecker, who is also a bird type that I'd never seen before (which I discussed in yesterday's blog post); and this creature is featured in the image directly above, where she is being pestered by house sparrows. Seeing the Red-Bellied Woodpecker was a wonderful experience, but I still wanted another glimpse of the Great Blue Heron! 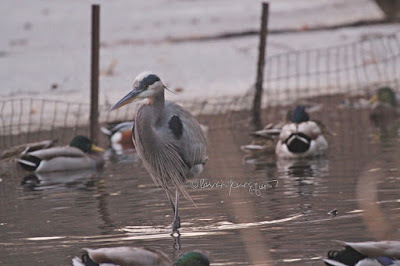 Yesterday, I checked the EXIF info re the images that I did manage to get of that awesome bird type the other day — with the hope that knowing the hour in which they were taken — would give me a clue as to when I might anticipate seeing the Great Blue Heron in the place where I'd seen him/her this past Tuesday. I'm thankful to say that my "detective" work paid off, for when I returned to the park, near to the time I'd seen the Great Blue Heron before, he/she showed up soon after I was there! 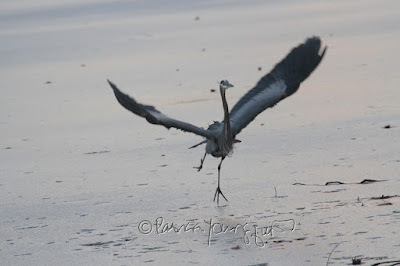 The creature seemed in good spirits, nearly jumping for joy; as evidenced in the next picture. 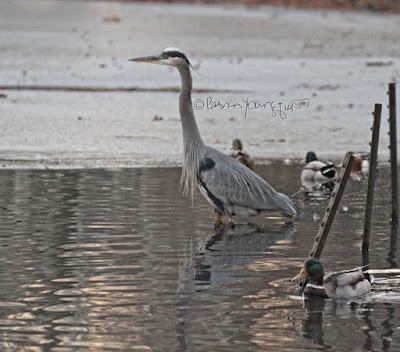 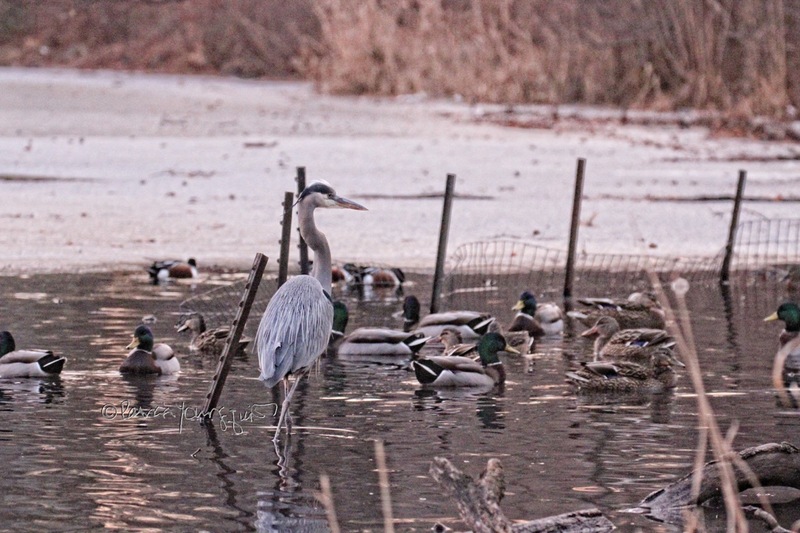 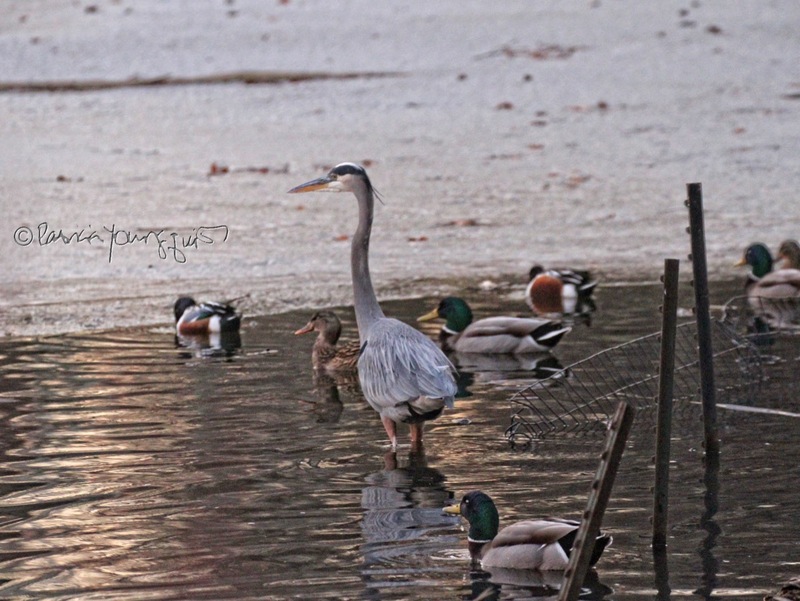 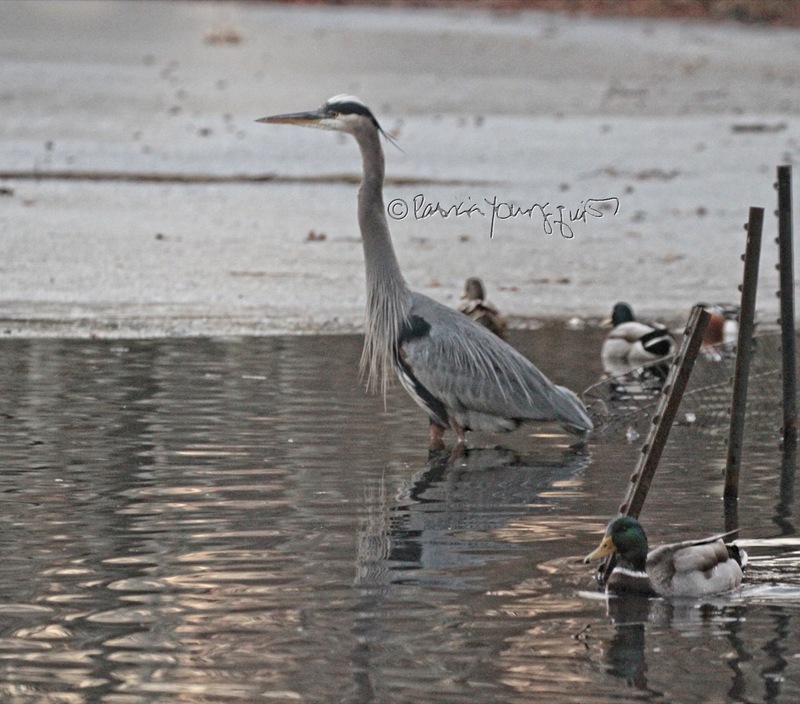 It was very cold outside and my hands were freezing from being exposed as I took photos of this bird, but, as you will see in the next set of photographs (featuring the Great Blue Heron spending time with Mallard ducks), my efforts were truly rewarded. 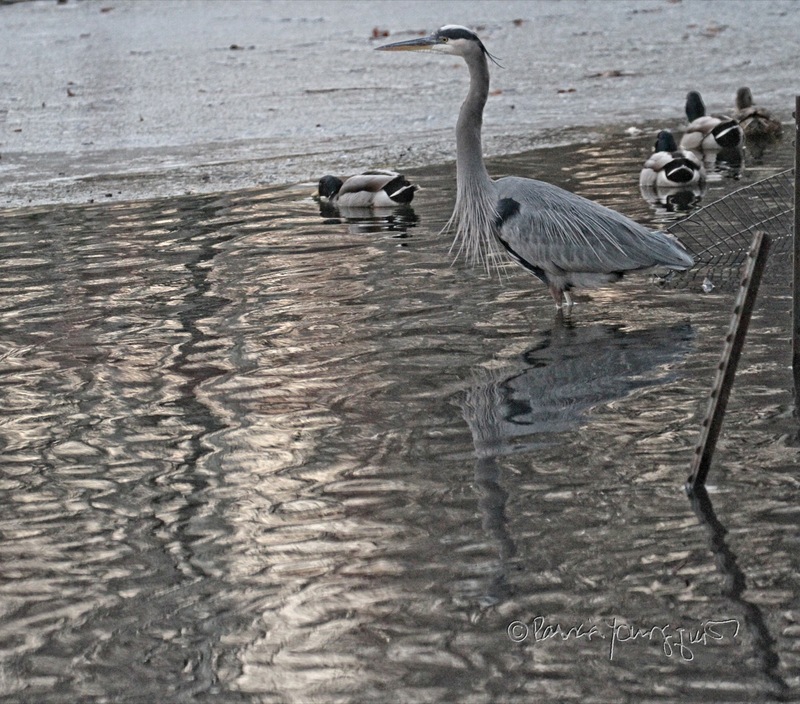 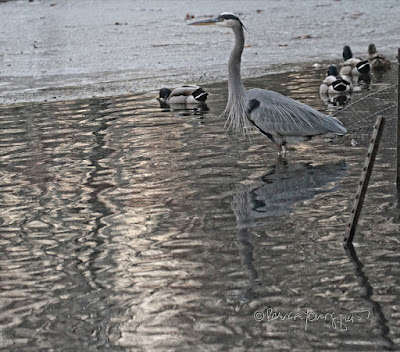 And after I took these photographs, I felt light on my feet — although probably not as light as the Great Blue Heron! That's how I feel about birds. 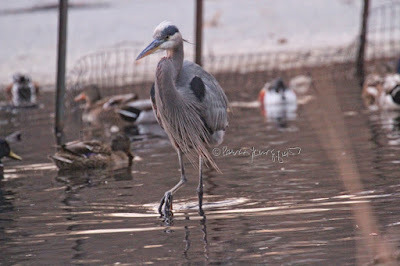 I'm grateful to know of the twenty types who have visited my rooftop garden including (in alphabetical order), a lone American Goldfinch, a lone American kestrel, a number of American Robins, a lone Baltimore oriole (Emily), a number of blue jays, a few cardinals, an occasional chickadee, several Common Grackles, a few downy woodpeckers, dozens of European starlings, several house finches, a lone rose-breasted grosbeak, dozens upon dozens of house sparrows, a lone leucistic house finch, dozens, upon dozens, of mourning doves, a few Northern mockingbirds, lots, and lots, of an array of pigeons types, and an occasional White-breasted nuthatch. 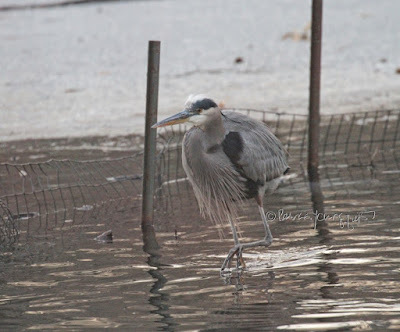 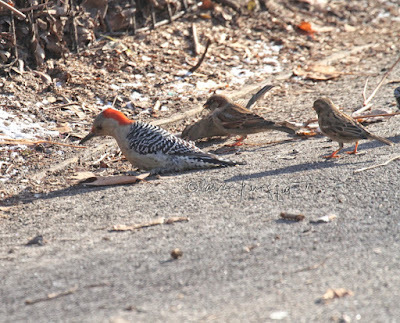 I'm also grateful to have become acquainted with birds who visit the Hudson River and or beaches on the Atlantic Ocean's shore line in NY, well as in New Jersey. 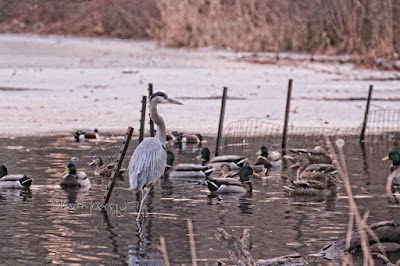 These include (in alphabetical order), a few American oystercatchers; members of the Canadian geese family; as well as, Jewel, (a lone Muscovy duck); an array of Khaki Campbell ducks; numerous Least sandpipers; as well as numerous Mallards; "regular sandpipers;" and, many varieties of seagulls. 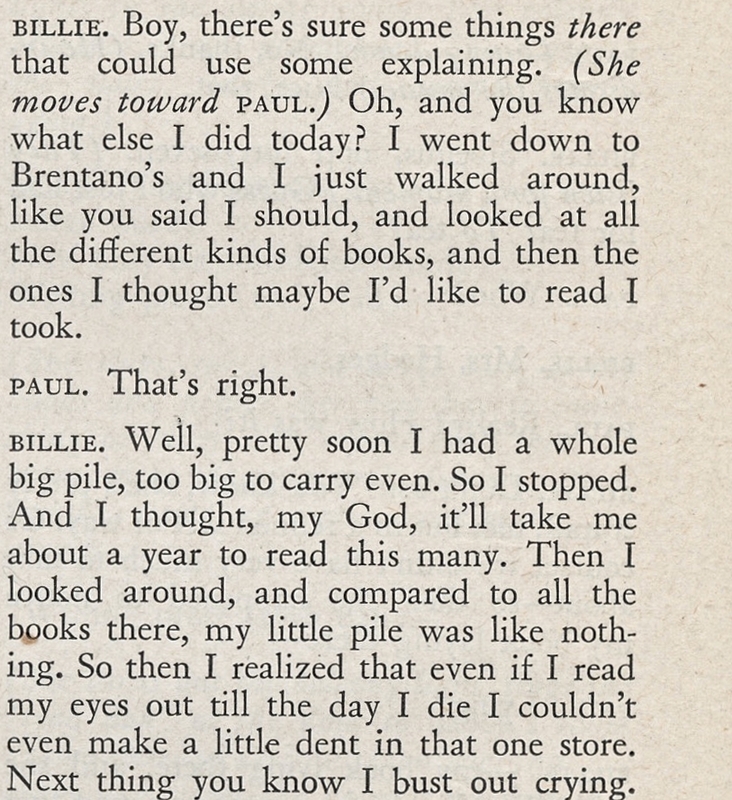 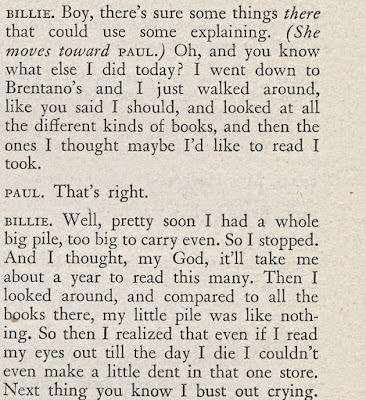 However, it's a very big world, inhabited by countless bird types, and, just as Billie realized that even if she read her eyes out till the day that she would die, she couldn't make a dent in one store; I feel the same about birds: even if I could see a few new bird types until the day I die; I'll never make a dent in seeing all the members of the avian community.